Not having access to cash when you need it the most can be frustrating. If you do not have a savings or emergency fund to fall back on, you will need to look into taking out a loan. If you are looking for quick online loans, then you have come to just the right place. At Mulah, we believe in providing our clients with the opportunity to take out a loan, without all the hassle and red tape that they might expect when approaching other financial institutions, such as the bank. Use the slider calculator on our website to select the amount that you would like to loan. Fill out our online application form to register online. This will take just a few minutes of your time. Wait for us to transfer the approved amount into your bank account. It really is that simple! When registering for a loan with us, we will ensure that the payment is collected from you on the due date, via debit order. 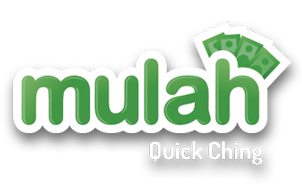 Who can apply for a Mulah loan? 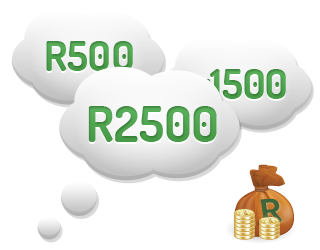 Only South African citizens who are 21 years of age or older can apply for a loan with us. You must have a permanent job with a regular income that is paid into your bank account too. In order for us to keep in touch with you and to keep you updated, you will need a valid email address and cell phone contact number. First time clients at Mulah can loan as much as R2 500. If you continue to take out loans and repay them on time, we will increase your trust rating. This means that in time, you can qualify to loan as much as R8 000. Your loan needs to be repaid in full on your next pay day and by using the slider calculator, you can quite easily see just how much interest you will be required to pay. There are of course penalties if you do not settle the outstanding amount. You will be expected to pay a R50 service fee and 5% interest will be added to the outstanding amount for every month that lapses. If you are unsure of anything along the way, at any time, we have a great online chat feature for you to make use of. We encourage you to have a chat with us about your needs and your application. You are sure to find our team members to be friendly, reliable and knowledgeable on loans and how they work. This ensures that we can impart sound financial advice with you and will also guarantee that you are only granted with a loan amount that you can afford. At Mulah, we will ensure that you are provided with quick access to loans that are easy to apply for, and have simple repayment arrangements and terms attached. Take the time to apply for an online loan with us, and prepare to benefit from same-day payouts and efficiency that will not let you down.